In case you live under a rock, or maybe a hunk of uniquely-blue crystal meth, Breaking Bad is getting a spin-off. “Better Call Saul” will focus on the corrupt and combover-ed lawyer that aided Walter White and company in navigating the legal troubles that, you know, tend to show up when you dabble in the trade of hard drugs and murder and other typical chemistry teacher things. It’s set in the year 2002, six years before the events of Breaking Bad, and it will jump around in time. So anything is possible. So we don’t really know much. The show already has an exclusive advertising campaign, a billboard hidden in plain sight in Albequerque, featuring Bob Odenkirk himself. Call the number! Do it! He has a voicemail! 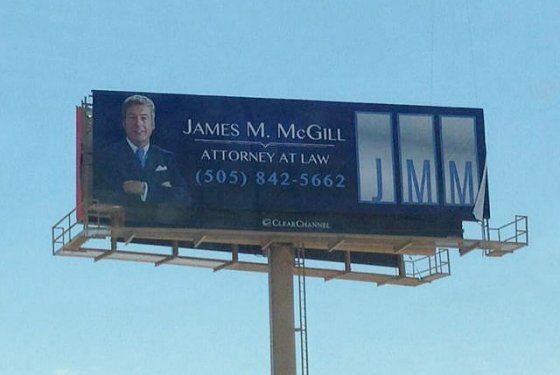 If you missed the obscure reference in season 2 (I did), Saul Goodman has not always gone by that name. He used to be Jimmy McGill. And he used to have beautiful republican politician hair. The show has already been picked up for a second season. So when do we get to see it?? 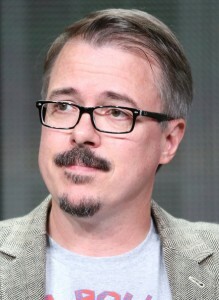 Vince Gilligan, writer-producer of the show and its predecessor, confessed to being a slow writer. And can we blame him? Breaking Bad had one of the craziest, most impressive plots of all time. Rushing that would be a catastrophe. I already wrote the fall premier in my planner, so you could imagine my dismay when I had to scribble it out when the studio announced it would be pushed back to early 2015. I don’t like to wait for these TV shows. I’m attached to the characters, give me more now! I miss Saul’s crummy smile and those “Wait…how did he get way with that? !” moments. But if I have to wait a few extra months for added greatness, I will sacrifice. But I will be expecting more creative publicity like the billboard. So which of our old friends will we be seeing? If I had to guess, I’d say quite a few. Mike Ehrmentraut, our beloved “fixer,” will definitely be back! And hopefully, so will his backstory. Bryan Cranston is basically bathing in money and glory right now. He’s coming off a big Tony win for his role in All The Way and he’s in talks to do the HBO adaptation of the play, he’s already won more awards than I even really care to count for being Walter White (including a Teen Choice Award! That’s how you know you’ve made it! ), and if he wanted to he could just lie down in his pile of cash and read his own Wikipedia article until the end of time. But we know he’s game to keep the role going. If you missed this video, you missed 2013. 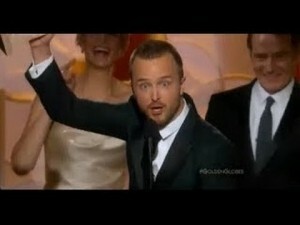 Aaron Paul is launching a movie career but he seems to always be available to be adorable and agree with female dogs! And what else is Jesse Pinkman, besides that? Paul yelling that famous catchphrase while hoisting a Golden Globe. So basically, we don’t know much at all. I’m hesitant to make any predictions because I think disappointment will ruin the magic of the show for me. And you know what? I’m okay with not knowing anything. I think Vince Gilligan is a television wizard and I trust his time frames and his cameo choices and even his strange facial hair. He has the facial hair of someone who signed the Constitution and the suit/t-shirt combo of Ryan Seacrest. What do you guys think? Are you excited for the spin-off? Did you care about Saul? When do you think the show will finally air? When do you think it should air? Do you want it to focus on old or new characters? Got any random BB facts? Let me know in the comments! 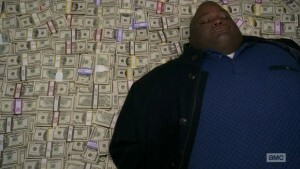 I just hope we find out what happened to Huell. Will Better Call Saul Be Worth the Wait Until 2015? -How does he get the money, up front, to start his practice? -When does he finally start to turn a profit? 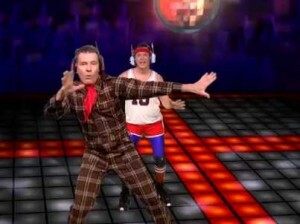 -How many “iffy” personal injury and criminal defense cases does he take on at the beginning? -Is he willing to travel all over New Mexico to make some money on a divorce case? -Are we going to see Walter White? -Will we have extreme flash forwards and flash backs? This article was great–I love the captions on the pictures–and Better Call Saul can’t start soon enough. Hopefully there will be plenty of one liners. 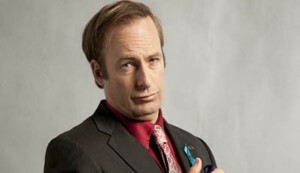 In the episode where Skyler and Walter are in his office, his diploma says his name is Saul Goodman and he graduated from the University of American Somoa. Did he fake this diploma? I will put nothing past ole Jimmie McGill. I cannot wait for the show! I personally hope for an inside-out storytelling of this epic saga. Perhaps where there exists a glimpse into the engrossing introspections of Saul himself. However, I am increasingly overtaxed by the biblical overtones of the original Breaking Bad series. I would certainly luxuriate from a tergiversation of all leitmotifs of fairytales of this sort. Perhaps more scientific ideas and philosophical minds should be considered, such as those of Neil Degrasse Tyson, or Carl Sagan, should be included in the erection of this potentially puissant epoch. Great article, Kelsey! I really enjoyed your thoughts on the show. My response article will be up soon!